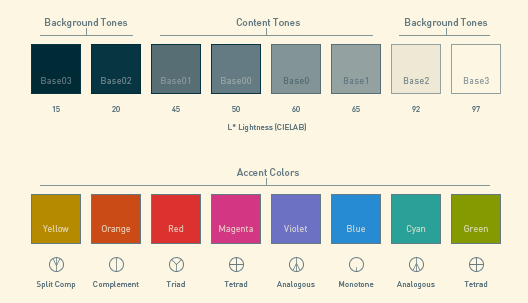 WebUpd8 reader Lu Wang sent us an email about a beautiful (and very popular) color theme for various applications called "Solarized". Solarized comes with both light and dark colorschemes and what makes it so special is that the contrast is "low in lightness but the colors are still well distinguishable due to the different hue values used" says Lu Wang. But that's of not all. 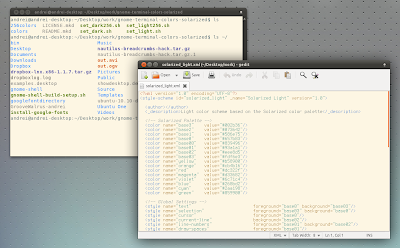 Check out the Solarized homepage for a lot more info and screenshots. 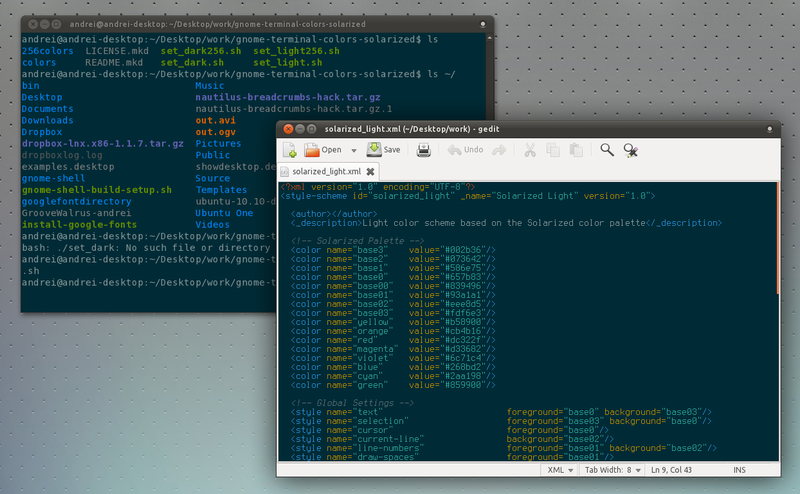 There are Solarized color schemes available for many applications: Vim, Emacs, IntelliJ IDEA, Netbeans, Mutt, GIMP and more. 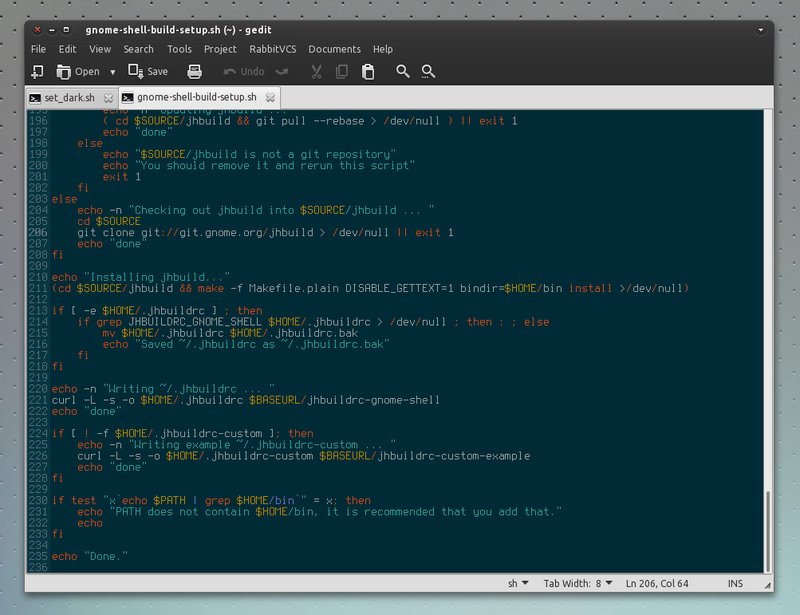 Below I'll tell you how to set up Solarized for Gnome Terminal (and Guake) as well as Gedit. 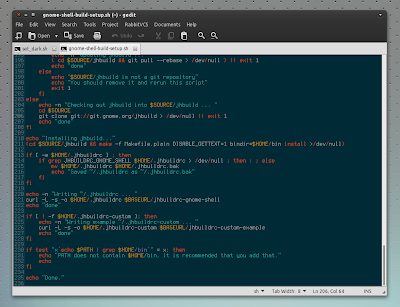 And use ./set_light.sh and ./set_dark.sh to set the color scheme. 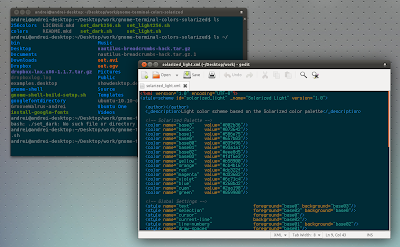 Note: for Gnome Terminal in Ubuntu 11.04, I've also had to edit some settings to remove the transparency: Edit > Profile Preferences, on the "Background" tab uncheck "Use background settings from system theme" and then select "Solid color". 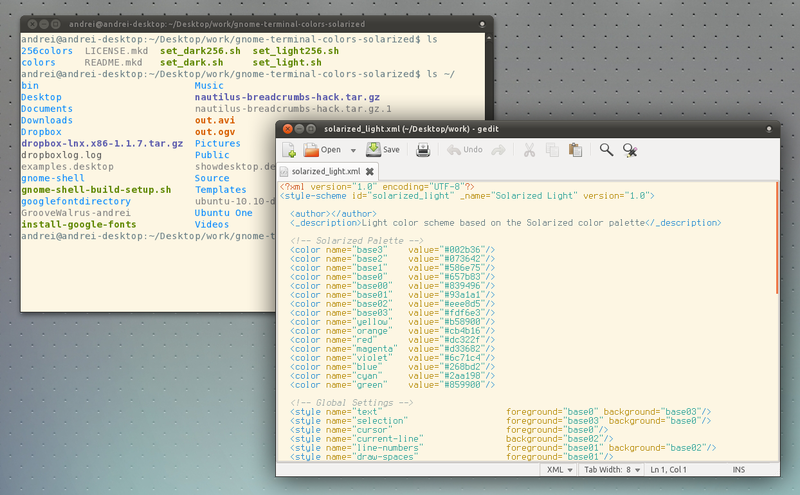 To install them, in Gedit select Edit > Preferences, go to the "Fonts & Colors" tab, select "Add" and browse for the light/dark Solarized themes you've downloaded. Many thanks to Lu Wang for the info!